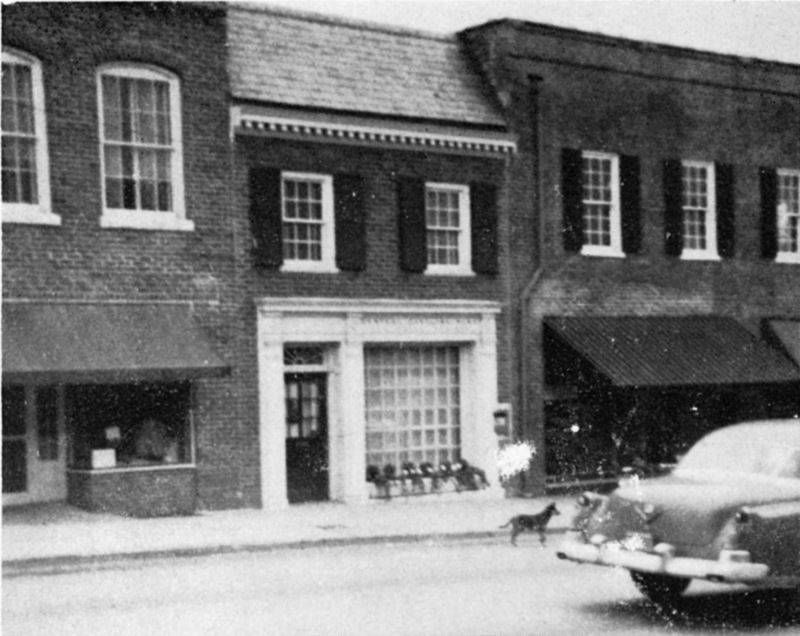 This narrow, two-story, brick Colonial Revival-style commercial building was constructed between existing structures to the north and south. 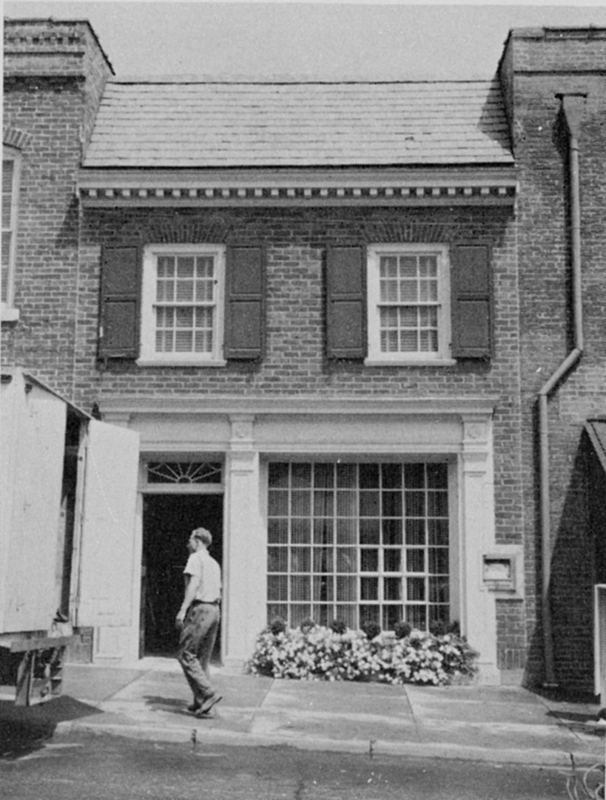 It has a brick veneer laid in a running bond, and a slate mansard roof with a modillion cornice. 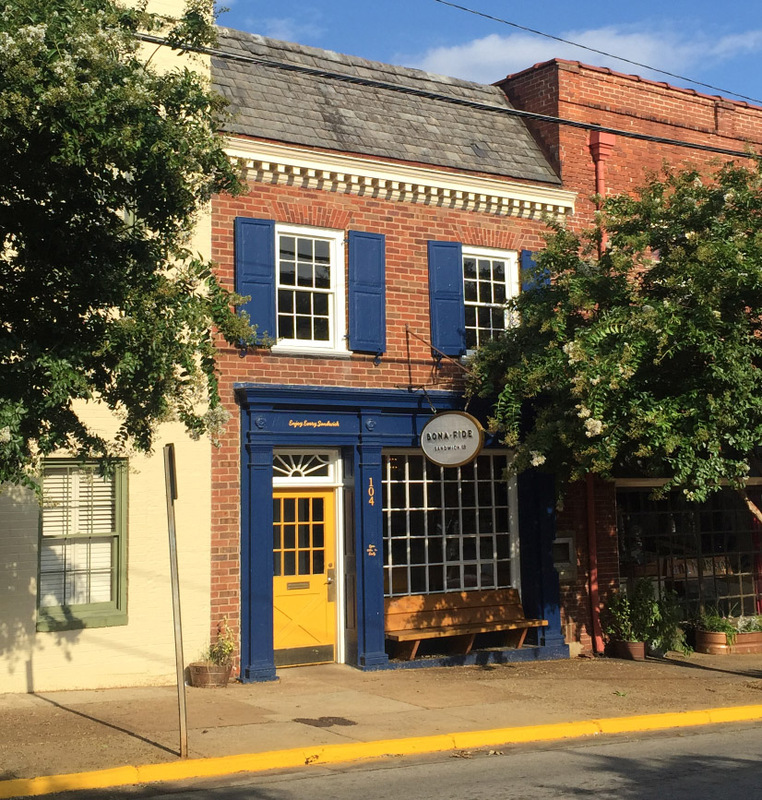 The storefront features a twelve-light-over-four-panel door with a decorative transom on the left (north) end and a forty-eight-light picture window on the right (south) end. The door and window bays are recessed slightly in paneled surrounds and separated by paneled wood pilasters supporting a wood cornice. The right end of the storefront has been modified slightly to accommodate a night deposit. There are six-over-six, wood-sash windows with flat brick arches at the second-floor level. The site is vacant on the 1924 Sanborn map and the building was likely constructed in the 1930s when Hillsborough was defining itself as a Colonial town. Perhaps, although I'd be curious to see a picture from the 1930s or 1940s to see if this is really the original form of this building - or are the roof and shutters add-ons. In March of 2016, the Bona Fide Sandwich company, from the same group that owns LaPlace restaurant and the Wooden Nickel, opened in this location.